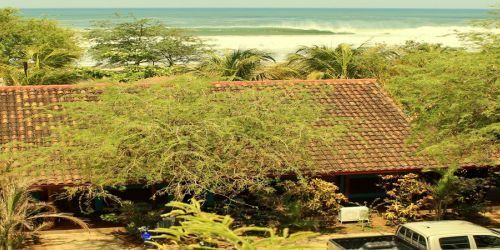 Maderas is arguably Nicaragua’s best kept secret. This town is full of good vibes, amazing surf, and interesting people from all over the world. Renowned for having one of the best beach breaks in Nicaragua, the beaches here offer sandy stretches alongside rocky tidepools ripe for exploration. Leave behind the hustle while still being a short trip away from beautiful San Juan del Sur. Wake up to the sound of Howler Monkeys and exotic birds while you enjoy the best vacation. Stay at our camp in Maderas to enjoy healthy food, art, and more – even get some work done in our CoWorking space. We offer 2 types of packs: a surf school pack, for beginners and intermediates, and a surf guiding pack, for intermediate and advanced; with different accommodation options, from the shared room to the Unique private room! Nicaragua is easily accessible with international flights landing at Managua International Airport (MGA). 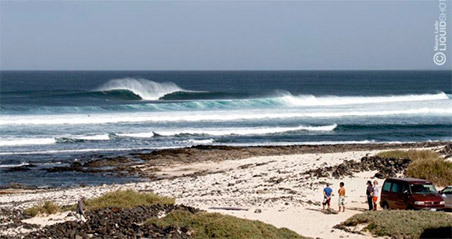 The surf camp is located about 2,5 hours by car from the airport. There is also another airport at Costa Smeralda, which is 1,5 hours form the camp. Surfcamp airport shuttle: On request we can offer pick up at the airport of Managua starting from $115 ( max 4 people): $29 per person. Car Rental: 20 minutes from San Juan del Sur, La Chocolata or Pepesca road and just only follow the sings (really easy). There are rental car service in the airports (Managua and Costa Esmeralda). Public transportation: From Managua to San Juan del Sur: taxi from the airport to Roberto Huembes, Managua bus station. Bus from Managua to San Juan del Sur. From San Juan del Sur to Selina Surf Club Casa Maderas: taxi from San Juan del Sur market or ask us for ours shuttles. Most nationalities do NOT need a special visa to go to Nicaragua (90 days on arrival). It is recommended to take various copies of your passport with you, if the original gets lost. Public and private hospital facilities have good standard level, however, we recommend traveling with an international travel insurance.